Boxing hand wraps may not seem glamorous but while they are certainly less that exciting they play a vital role in keeping your hands protected while boxing. Indeed, without these wraps boxing would be a far more dangerous sport. 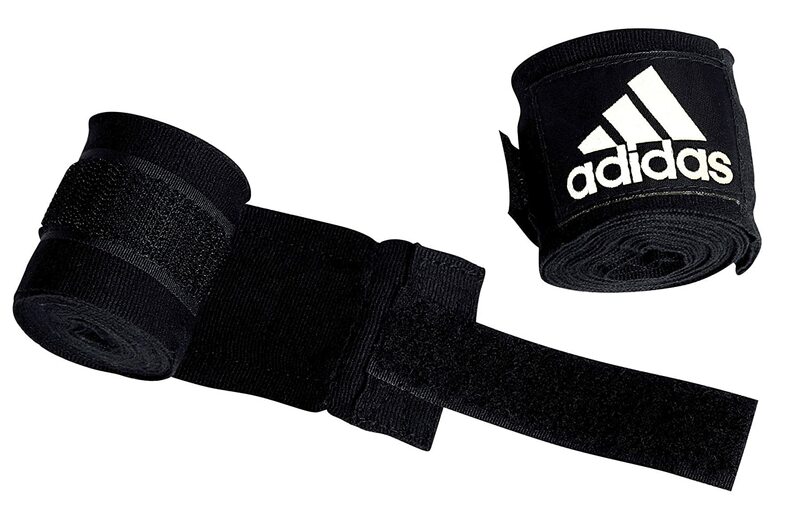 Try hitting a heavy bag without these hand wraps and you will be feeling the effects for days or weeks afterwards. Even a top class boxer like Floyd Mayweather Jr needs to use them, although in his case it is even more important due to his seemingly fragile hands. While there are now a number of different types of boxing hand wrap around, the idea remains the same as when the Greeks first covered their fists in softened oxhide for the first Olympic boxing bouts in 688BC. Boxing spent a long time as an underground sport in which bare knuckles could do a massive amount of damage, It wasn’t until the introduction of the Marquess of Queensberry rules in 1867 that the rules called for “fair-sized boxing gloves of the best quality and new”. After this, it was realised that hand wraps were needed as well, to protect both fighters. In the early 20th century it had become common for boxers to use gauze and tape to strap up their hands. 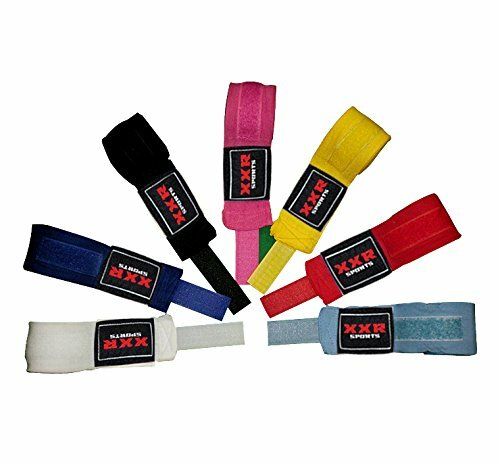 These days, you can choose from a range of materials but it remains as crucial as ever to make a good choice of hand wraps and then get them fitted well. Make a smart decision and you will stand a far better chance of avoiding the dreaded Boxer’s Fracture, which is a painful injury affecting the metacarpal bones. As with the gloves that you choose, there are different kinds of wrap that you need to use according to whether you are training, sparring or fighting for real. In addition, the use of a variety of materials leads to varying results as well. Training wraps. In this case, the wraps are made of re-usable cotton cloth with a Velcro fastening. As the name suggests, this is something you are going to want to use for your training sessions rather than in the ring. Mexican hand wraps. This is another good option for training. Mexican wraps have some elastic woven into them. This means that they are easier to fight tightly around your hand. However, they tend to not last as long as cotton wraps. Some fighters rate these as the best hand wraps but others prefer the cotton models. Tape and gauze wraps. 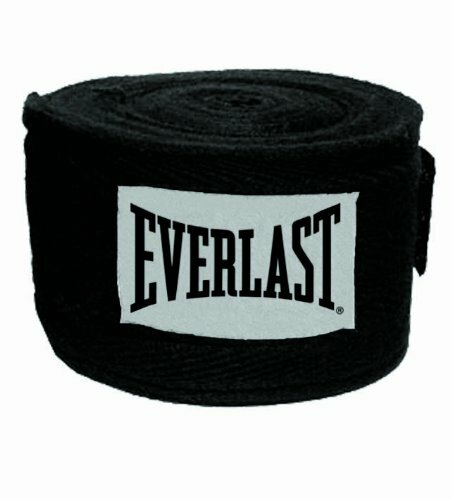 These are the hand wraps that are used in competition fights. There are a couple of differences between these and training wraps. For a start, the precise amount of wrapping used is in the rule book so that no fighter can get an advantage from it. In addition, you will need to get someone to help you to do this, while you can apply training wraps alone. Fingerless gel gloves. In this case, the big benefit is that they are easy to use, as you just slip them on like gloves. However, they don’t fit as snugly and are also more expensive than traditional wraps. Fingerless gloves like this aren’t typically used by pro fighters but are a simple and convenient approach for newcomers. They are most commonly used by MMA fighters. The fact that different materials are used in these wraps means that it is a factor to take into account. The material that you choose will play a big role in how effective they are in a number of ways. Elastic won’t come loose while training. Elastic Mexican wraps are among the best hand wraps for a tight fit that won’t come lose while you are training. In real fights then the tape and gauze approach will also ensure that your hands don’t lose this protection even when the action really heats up. Tape and gauze is lightest. The weight of your hand wraps shouldn’t be a big factor but it is still worth bearing in mind that tape and gauze is the lightest option. The gel-filled gloves will often be the heaviest. Tape and gauze cannot be re-used. A big benefit to most training hand wraps is that they can be re-used numerous times, with the Velcro fastening giving a secure fit every time. Mexican wraps fit snugly. If you want a snug fit then the elastic hand wraps known as Mexican style wraps are ideal. These are fitted more tightly thanks to the elasticity and give you a great feeling of security. Different amounts of thickness. You will see once you start looking that there are varying levels of thickness available. For some people the best hand wraps are nice and thick while others feel more comfortable with slightly thinner models. Don’t forget that the tape and gauze has to be at the exact thickness allowed for competitive bouts. Getting the right hand wraps is a small but hugely important step that will help to ensure that you are able to train and fight safely. This might seem like an incredibly easy thing to do but it is worth taking a few minutes to get it just right before you proceed. Consider how you are going to use them. Your starting point should be to consider how you are going to use them. Are you are going to be training every day or fighting for real? As we saw above, there are different kinds of wraps for use in different situations. If you are going to be doing both things then you will want to choose at least two different kinds of wrap. Get the right length. You will set that these wraps typically run in length from about 2.5 metres up to 4 metres and over. Therefore, you will want to choose the perfect length for your size of hand. Will you use them in other sports? MMA and Muay Thai boxing are other sports in which you will want to protect your hands in this way. If you are going to be varying between these types of fighting then it is important to understand which type of hand wrap is going to suit you best in each case. Will you have some help to put them on? As noted above, a crucial difference between these different wraps is that you will need help to put on the pro wraps using tape and gauze. The gel-filled gloves are easy to fit while cotton wraps you can put on yourself once you learn how to do it. Check out the video below on how to get your hand wraps on if you do have to learn how to do it solo! Do you need extra protection? Not everyone has the same strength of hands and wrists as everyone else. You can work to strengthen your wrists over time but if they are weak or brittle it makes sense to protect them as well as possible. Therefore, you will want to use wraps that give you an excellent sense of protection every time that you put them on. Choose suitable materials. The different types of material used in boxing hand wraps is another factor to take into account. Do you prefer the elasticity offered by Mexican style wraps or the convenience of gel-filled gloves? You may need to try out a few of the options in order to get a better idea of what suits you best. Find a good price. Boxing isn’t a particularly expensive sport to get equipped for and even the best boxing hand wraps tend to be decent value. Therefore, there is no excuse for skipping this purchase. However, it is still important to use your budget wisely. This is especially true if you are planning on buying a few different types of wrap to try out. Get a feeling of security. The feeling of security that you get from good boxing hand wraps is a massive benefit. You will be able to punch with far more confidence and security when you have the right wraps on. 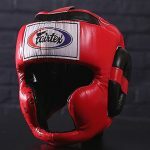 As with all of the boxing gear that you need, there are a number of excellent brands to choose from. The following are some of the main ones. Everlast. This famous boxing brand has been producing gear for boxer ever since 1917. Jack Dempsey was their first client and they have subsequently sponsored the likes of Joe Frazier, Muhammad Ali and Roberto Duran among others. Adidas. The world famous sporting equipment manufacturer has a big range of boxing gear for you to choose from. 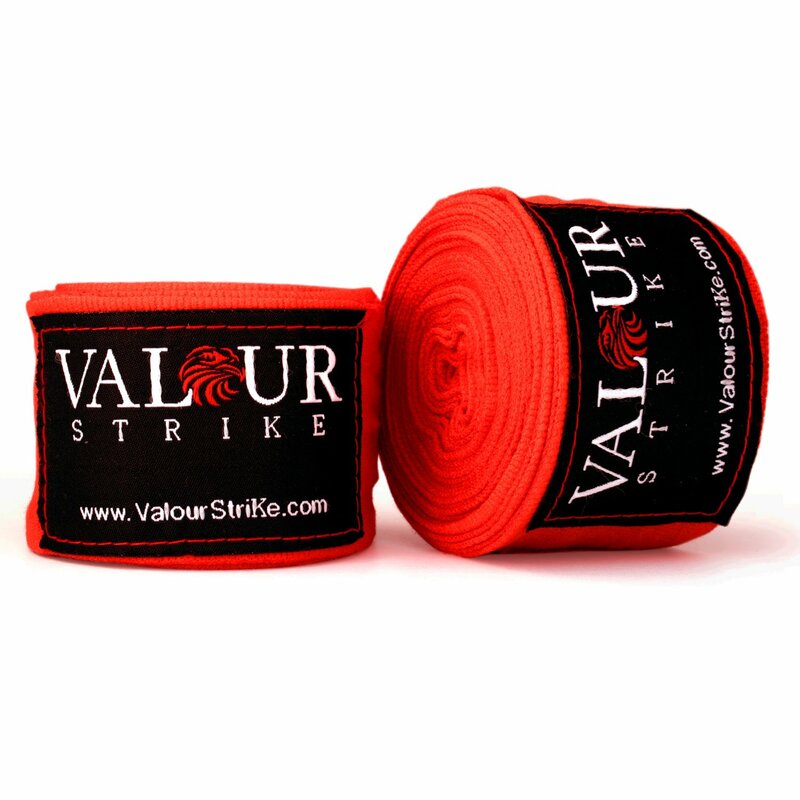 You can get some of the best hand wraps and everything else that you need from this company. RDX. 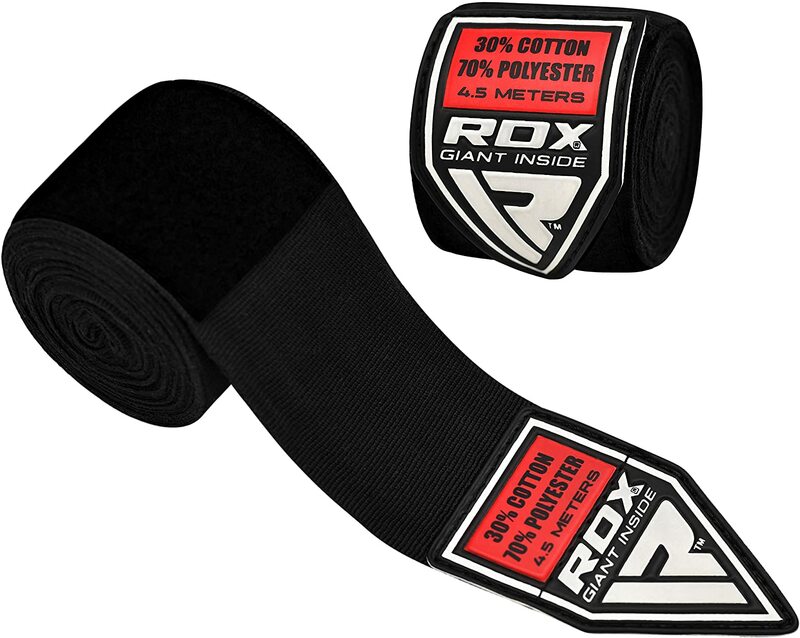 Another boxing gear producer with a huge reputation, RDX has a fine range of hand wraps and other equipment. This is a brand that won’t let you down but offers good value products as well.